DP&L Design Engineering Supervisor Bill Gourley gives a summary of electric-related events occurring between March 14 and 16. City Councilwoman Kristi Fickert says residents relied on each other regarding what to do during the citywide power outage that lasted hours. Councilman Matt Purkey is at the right. WILMINGTON — Two city council members told a DP&L representative that company communication during last Saturday’s widespread and lengthy power outage was, at best, inadequate. Fickert made her comment after Swindler said the DP&L website’s outage map kept indicating the outage would be resolved in one hour. A Clinton Memorial Hospital employee, Swindler said local health officials were literally shuffling vaccines from refrigerators at different locations and added that city hall faces tens of thousands of dollars in repairs to infrastructure. Moreover, said Swindler, the affected people had no idea what the projected timeline was or what they should do to protect equipment. DP&L Design Engineering Supervisor Bill Gourley said he will take the concerns back to company officials and see whether there some ideas going forward. 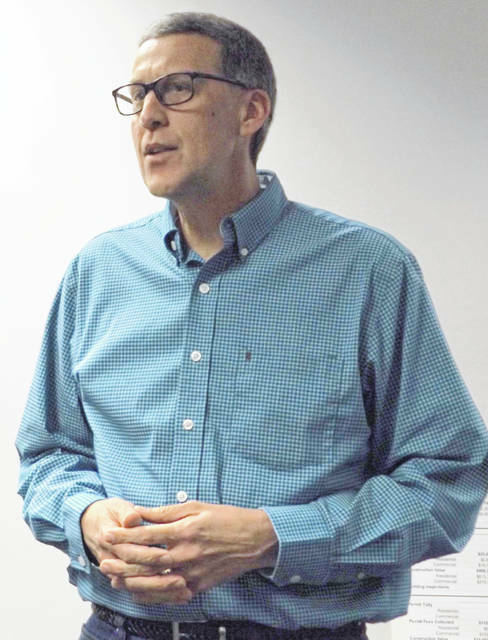 Earlier, Gourley gave a chronological summary of what happened as a result of very strong winds that rolled through the area Thursday night, March 14. Those winds blew down 58 transmission poles and about 35 distribution poles, he said. The Wilmington substation has three feeds coming into it, and two of those were lost in the Thursday night storm. Because it was such a big transmission event, DP&L called upon mutual aid partners from other utilities who provided 11 additional transmission line crews to add to DP&L’s four crews so that there were altogether 15 transmission crews working on poles at that time, said Gourley. A helicopter was deployed to see whether anything had been missed that crews weren’t actively working on, and there were some things and they were addressed before everything was turned back on, he said. Then came Saturday morning. A transmission line coming into the Webb Road substation — the last transmission line that was feeding Wilmington — went down, and when that occurred, seven substations went dark, leaving the entire city without power. 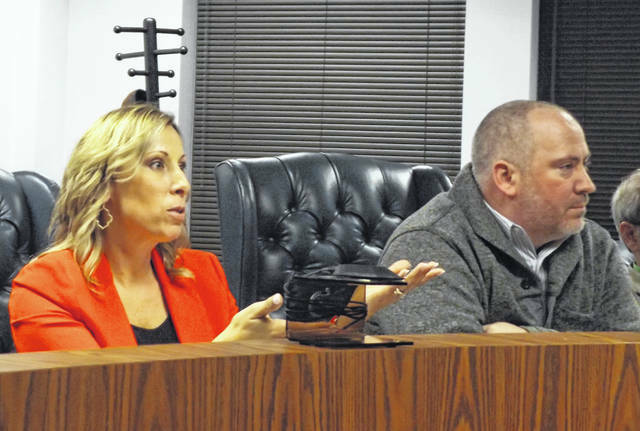 After the council meeting, Gourley spoke with the News Journal and surmised that the transmission line went down due to the extra power load from trying to feed more through the same line. Part of why the Saturday citywide outage was lengthy is due to a need to have a bulldozer pull a line truck through wet fields to make the repair, said Gourley. DP&L and another utility company, AEP, have a connection point in the southern part of the county, and DP&L was able to get some of the southern part of the county back into power through that connection, the spokesman said. On Saturday afternoon DP&L was able to get the line at the Webb Road substation back into service, and lights came back on in the Wilmington area, he said. “It was a big event for a lot of people. It’s an inconvenience, it can cost a lot of money, and it can cost a lot of other things when the power goes out. We certainly are aware of that,” said Gourley.